Three Friars in a smooth 2002 Peterson Sherlock Holmes Series Milverton. 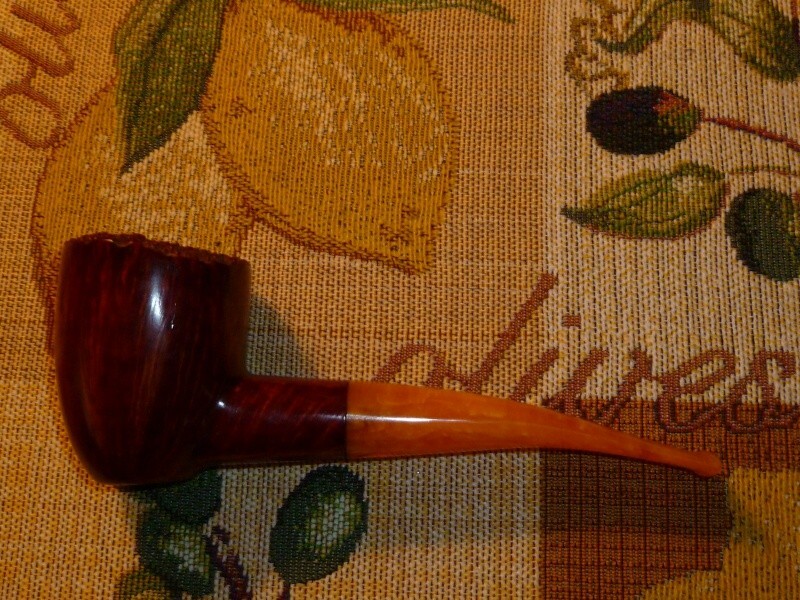 Sutliff PS County Cork in a 2013 slight bend grain etched briar Rekamepip Volcano with a walnut shank. Almost finished smoking Heine's Blend in a 2013 MM straight Legend. Almost half through this bowl of Sutliff PS Mountain Pass in a 2002 IMP smooth full bend egg shaped meer. Almost finished smoking G&H Rich Dark Honeydew in a straight 2014 MM Pride Legend. 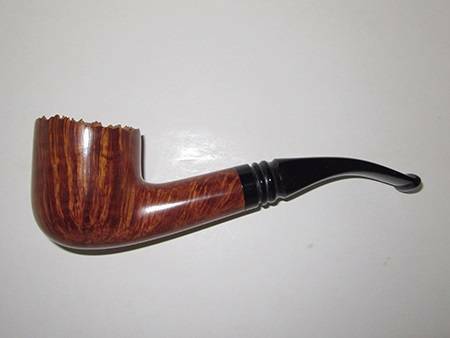 Pierre's Preference in a small calabash by Briar Spirit Pipes...wonderful little smoker!! juice/meds at this desk, '05 CrownAchievement in Caminetto "Business" #174 in smoking room. Soon headed out for "dog walks me", Gurkkha 5.5x42 for added company. storm front in tinsky dublin. Mc-5100 in a tree trunk sized Dublin with a huge plateaux rim by Briar Spirit Pipes. Having some more FM 2000 in my new BSP bent Pot I was given by Bro Shane this month!! mmmmmm ketchup, THE way to break in a new pipe !! 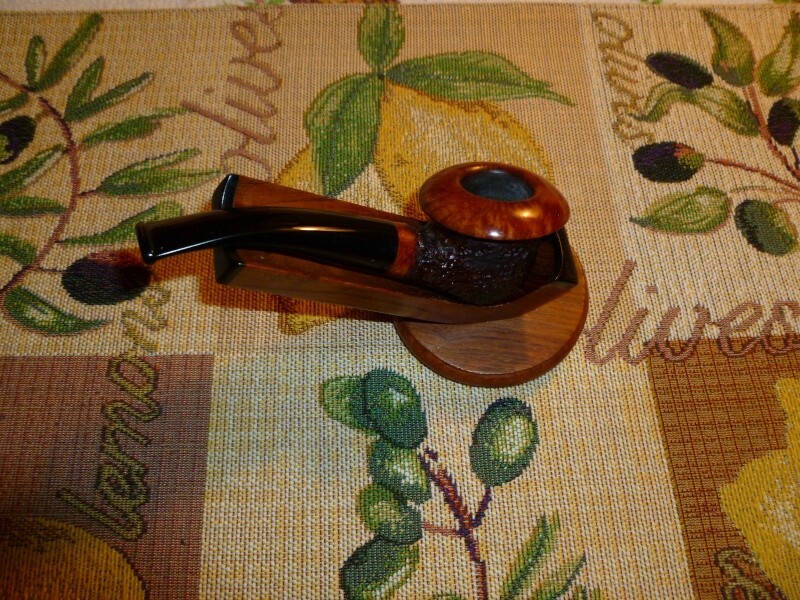 Pepe's Delight in a rusticated apple by Briar Spirit Pipes. HU My Special One in a 2003 medium bent Ural meer with a lined and etched egg shaped bowl. Coke Classic at this desk, DGT '05 CrownAchievement in Brebbia Jubilee 1997 in smoking room. Just finished a bowl of Irish Flake in a Gepetto bent Dublin. 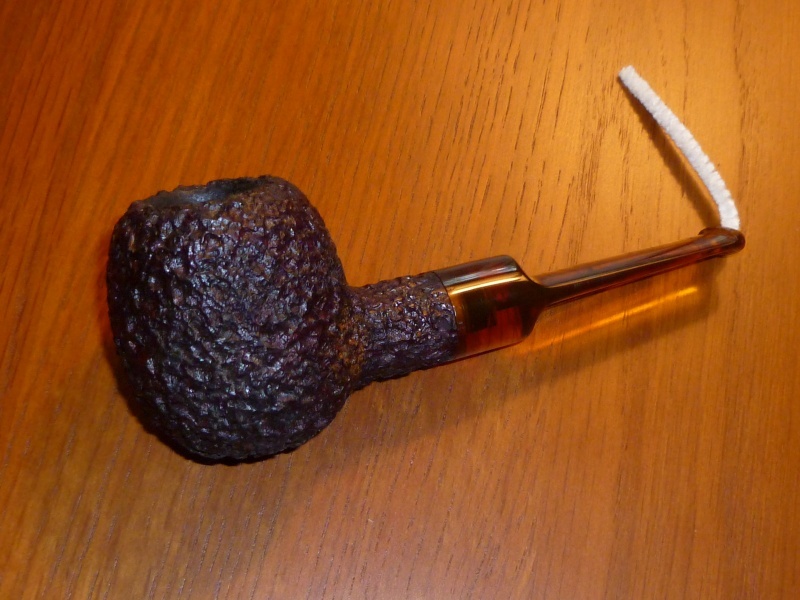 Now smoking Ennerdale Flake in a Sasieni 4-dot Ruff Root sandblasted Dublin. Dunnie Flake in my estate Hardcastle Old Bruyere 'dog after work. Now onto some '11 Stonehead in a Tinsky '12 Xmas Dark Blast Rhody. Dunhill Navy Rolls in a 1980 smooth slight bend, long stem Prince no name 97, made by Charatan.